Because they didn’t come from me. Yes, the RFID checkout system at North York Central is a disaster. 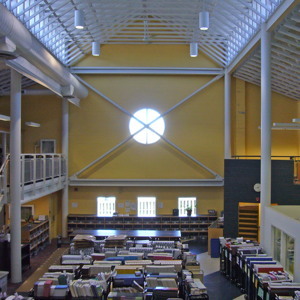 Tour the Reference Library stacks. Benign Catherine Raine’s 99-Branch Club has been documented in the TPL’s April online newsletter, which of course is a PDF, hence is not really “online.” I was never expecting coverage in TPL’s own publications (it never occurred to me), but now I know I’m not going to get it. I have learned the hard way that the library does not actually want any coverage it doesn’t write itself.